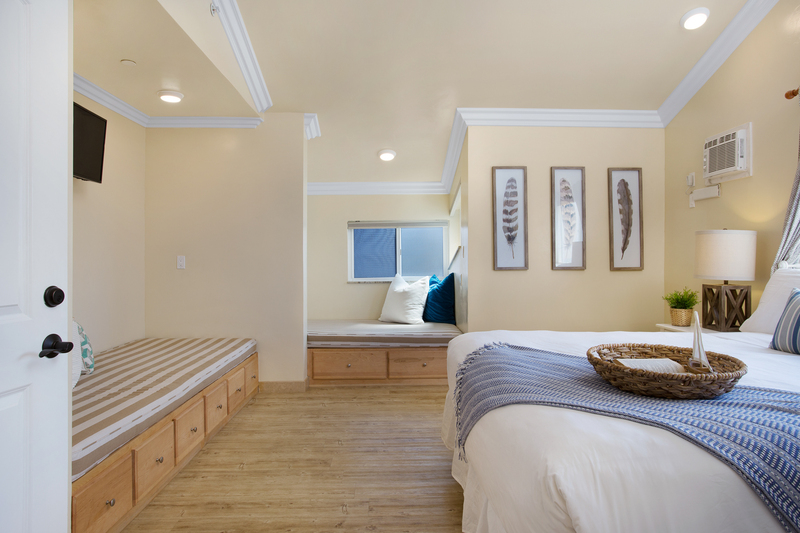 Beautiful upper level of a duplex featuring 2-bedroom, 2 bathroom sits directly on the beach in Oceanside, CA! This unit has just been completely remodeled - everything is new! There is a flight of stairs (13 steps) that need to be taken to arrive at the unit's location. 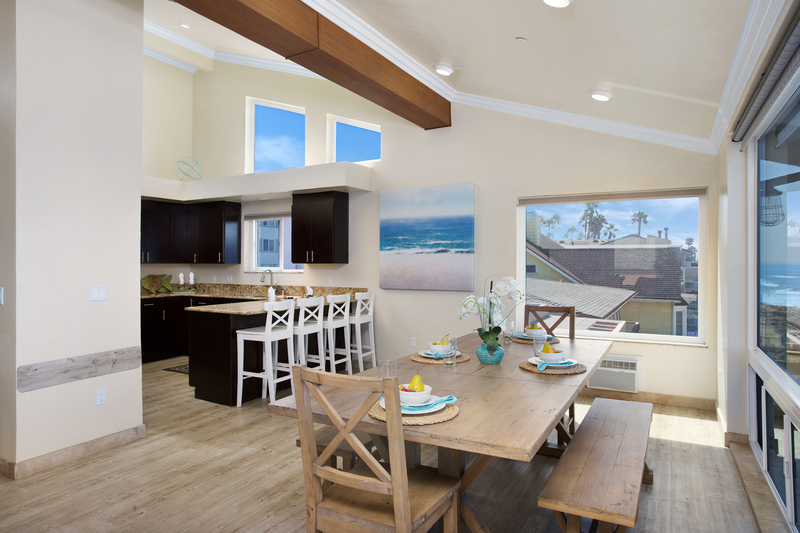 Open living and dining room and kitchen, with high ceilings and beautiful ocean views! Off of living area, there is a large private balcony overlooking ocean. You also have a semi-private beach area (shared with 2 other units in building), with a one car garage and two additional drive way spaces. Overflow parking is available at our office in Oceanside, located at 1640 Oceanside Blvd, Oceanside, CA 92054. 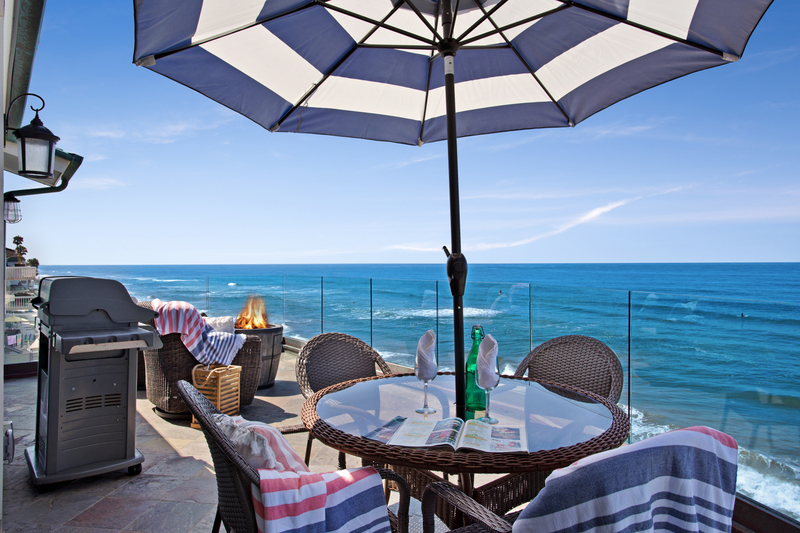 Oceanside has plenty to offer, from its sandy beaches to the gorgeous overlook from the pier. There are several restaurants and breweries to select from during those days when you just want to get out and about. We highly recommend visiting 333 Pacific, if given the chance. 5th year in a row!! This is our 5th year using Beachfront only and our second stay at this unit. We love our stays each time! Units are always clean and welcoming! Stuff is out going and great. We had a issues this last stay with the patio doors. Made one call to the office and with in a few mins we had someone over to help out! The views are never disappointing. From the morning views of surfers, evening sunsets, great weather ever time (early Sept is when we go). We tell everyone about our stay and always tell our friends that this company is the way to go! Will always use whenever we are in Oceanside!!!! Sunrise, Sunset and Ocean Views, this condo has it all!! We just finished an amazing girls trip that had been planned almost 1 year ago. How are staying resulted in us rarely leaving the condo. The views from the balcony or undescribable, and give you no reason to leave. 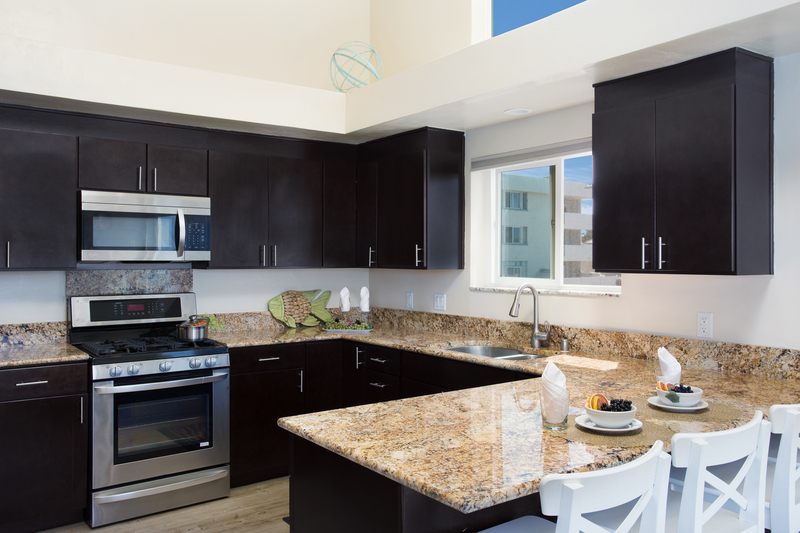 The condo accommodated five of us very comfortably, and the kitchen dining area was equipped and easy to use. We grilled everyday and enjoy the most breathtaking sunsets from the balcony. I highly recommend this rental as a relaxing getaway for some much-needed down time. We will be back again!!! It is obvious that this owner has put a lot of thought and money into this property.Howver renters, the sea and the sun, and some neglect has rendered it not as pristine as it was 2 years ago when we first rented P-1111. However it is still a beautiful, first class property. Owner should change back from RUKO (requires subscription) TV to cable TV. The unit was exactly as mentioned in the overview. The staff were very helpful in providing replacements when requested. We got to see dolphins right from the balcony which made the trip even more memorable. Will definitely be planning to visit in future and also recommend this property to friends. Overall it was a great experience. We love this house, it suits our family perfectly. However this year we were struggling with the front sliders, they had a very hard time locking into open position and trying to put them back they kept falling out of the track, they are going to need repairs or someone will get hurt. Also the air conditioner in the master bedroom is barely blowing cool air, it couldn’t keep up in the afternoon heat, that also will need replaced. We also had a ceiling fan break while we were there and I was very impressed by the prompt service. Overall another great experience. First Class Accommodations! Thank you. We spent the entire month of February in the amazing condo. We actually watched them clean another of their properties. They were actually taking out the dinnerware & silverware and hand washing everything, before putting it all back in place! We had a small window issue that was repaired within an hour. Because we had a small issue with the large window, the manager of the glass company came out and made the repair. He also suggested the other two large living/dining room windows were leaking, (moisture building up) that they have a ten year full warranty - that the owner/management company) should call and they will replace both windows at no charge. The management company was extremely accommodating and attentive to any of our requests/questions..
Great condo - great view - and we had a wonderful time. Thanks for sharing. Property management company provides outstanding, prompt and friendly service. 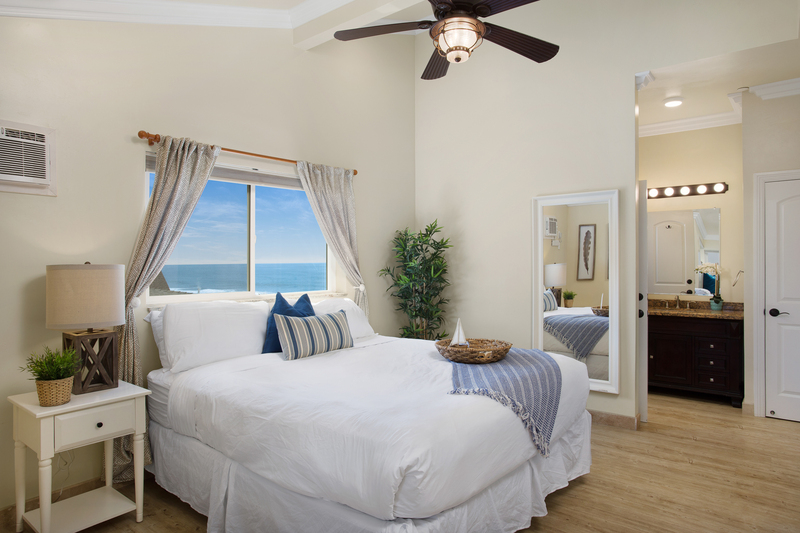 We greatly enjoyed our 5 day, 4 night stay at this ocean front rental. There was so much space to spread out and had large bedrooms. All supplies such as cooking utensils, dishes, and cookware to bedding were supplied. Everything was very open and clean with large windows and huge balcony overlooking the ocean. We had an issue with the TV and the fire pit outside and they sent maintenance over in a very timely manner to fix it. Customer service was very friendly and easy to work with. We had such a wonderful time. The view was absolutely beautiful! The home was perfect for our family of 4. It was clean, open and very inviting. We did not want to leave! I will only use BeachFront Only again if in same area. Their customer service is excellent! Started from my first contact. Loved the app you get 2 weeks prior to arrival, with so much detail.. made everything a ease. I use to be a travel agent so I like things just right. The beach house was spotless and it is just like pictures. Having garage parking and extra was great. Updating the House was bit cleaned very well. This was the perfect vacation condo for us. The pictures are true to form, we were so pleased with the location, the fabulous ambience, the comfortable beds, everything we needed to feel at home. The unit was spotless. Loved the beach bonfire area, enjoyed being able to bring our dog. So many wonderful restaurants and shopping in the area too. Great location. Wonderful balcony made for spectacular sunset viewing. Better for two families then any more as bedroom had unusual bed arrangements. We were back for a second Spring Break, house was again perfect! It's great for kids, location near restaurants and a short walk to the pier. Staff is very responsive and helpful. We are already planning for next year!! slept all of us very comfortably. The booking and check-in/out process were a breeze. The rental property itself was great, had a great view and was self-sufficient. It was the quintessential vacation home. The first day your feet are filthy. I have heavily mopped both times after arriving and then the floors are fine. 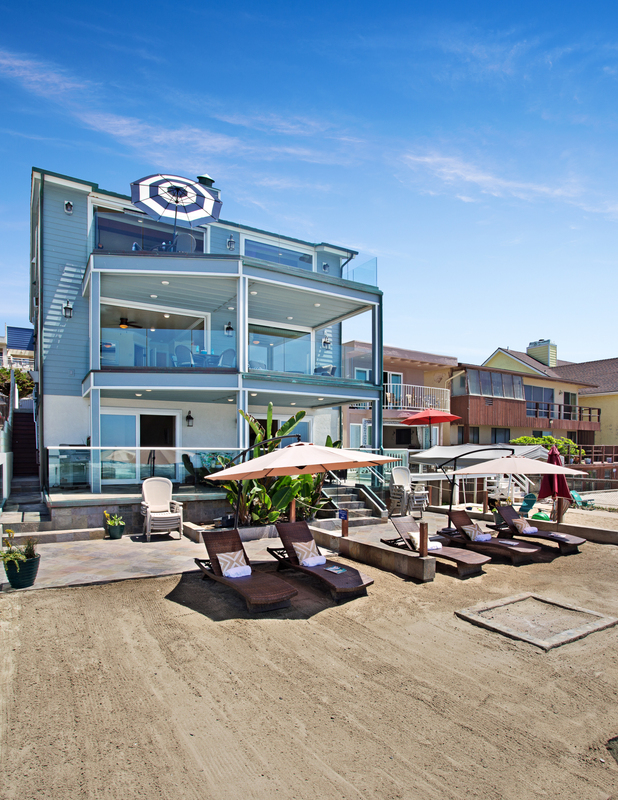 The house is close to pier, lots of parking, and lots of amenities. The couch could also stand a good cleaning. We had a wonderful time. Great weather and a beautiful home. WE all loved it. Fourth year using beach front only. Never disappointed. Beautiful condo. A little surprised it did not have what one would consider a master suite bathroom. Was hoping for a whirlpool tub and it did not have one. Stand up shower only. Did not ruin the stay tho. Beautiful condo. Clean and up to date. Definitely looking forward to next year. Thank you very much BFO. The unit was in a fantastic location right on the water. It was beautifully appointed with all the amenities needed and very clean and updated. I needed help with the garage door opener and called for help. The woman was very helpful and took care of my issue right away. I give it a 10! We have been renting through Beach Front for years and this was definitely our favourite condo!!! Place was so well equipped and was great location!! We loved the beautiful big deck with the massive glass railings which made watching the kids so easy! Everything was great and more than expected. We thoroughly enjoyed our short stay at this gorgeous home! 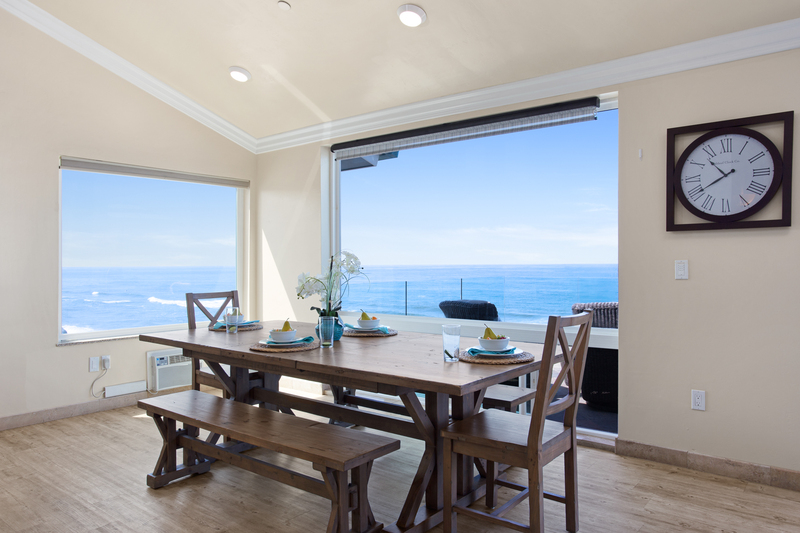 The views are spectacular from every window facing the Pacific. The house was very, very clean and beautifully decorated. We only used one of the bedrooms, but the bed was very comfortable. Wonderful place to vacation,clean,nicely furnished, there was nothing u might want or need they didn't think of providing for ur stay. This house was awesome. Many features and great layout. The pictures don't do it justice. It is so amazing, we can't wait to get back there. Everything was top notch, I have and will recommend this and all BFO properties to friends and family. The condo was beautiful and comfortable for our family. We loved the view and easy access to the beach. We were at the rental when I huge storm came in and the door leaked but maintenance was quick to answer the call. We have stayed in many beach rentals and this was by far one of the best. This was a beautiful, light, and airy third floor unit with wonderful views. The décor is tasteful and relaxing. There is a full and modern kitchen and we made numerous meals without any problems. The beds were fairly comfortable and the extra side sleepers are a plus (and surprisingly comfortable). Our three-year-old slept in one of the small side sleepers and found it quite cozy. 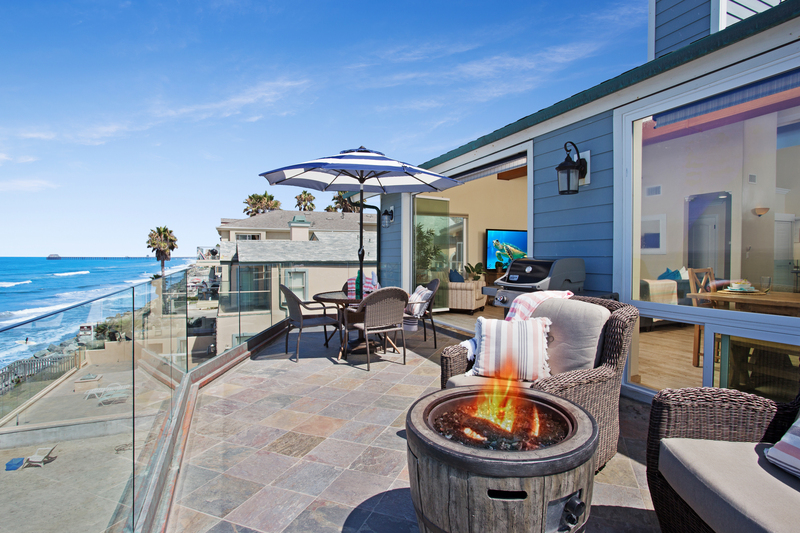 The balcony offers great views of the ocean and pier. We even watched dolphins swimming by one day. Most of the renovations in the unit have been tastefully done. There are just a few places where the workmanship is questionable, but the overall feel of the unit is very pleasant. We enjoyed going down to the beach via the easy (but steep) steps in the back. The beach was sufficiently wide and was not overly crowded or busy when we went in April. Our children enjoyed sifting through the shells and playing in the sand. 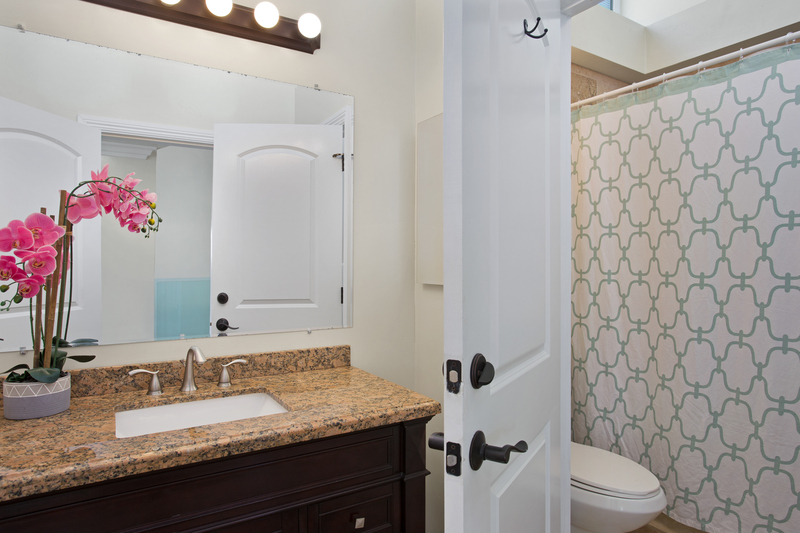 We wish there was an outdoor shower to rinse off before coming into the unit. When we first got to the unit a few things were missing, but the rental company responded quickly when alerted. Other families who consider staying here should note that there is a slightly steep flight of stairs in the unit up from the street-level entryway. The steps down to the beach from the shared patio and yard are steep, with no handrails. The beach is also rocky in places, so water shoes would be helpful. There are no bathtubs in the unit, only showers, although there are handrails in the showers. The parking space for this unit is not in the garage, but in a very narrow space right next to the garage. The floors in the unit are also beautiful, but were slightly hard on sensitive feet, so house slippers or thicker socks might be helpful. Overall, we enjoyed our stay in this unit and will be returning. Open air living room, quiet, well appointed upper unit which was perfection for a bridal shower along with providing out of town accommodations for the bridal party-girls memorable weekend. Pristine property with breathtaking oceanviews. This was less expensive to rent for the weekend and more intimate than renting hotel/restaurant venue. Pleased with our selection. The photos of the event are gorgeous with the ocean backdrop. The girls were thrilled. Beautiful top unit overlooking the beach; spotless, looks new, well equipped with amenities. you couldn't hear the other occupants in the duplex, only the ocean waves. property management very responsive. going back next year! For the money, some things were missing. The house is beautiful and it's pretty much just as described. That being said, we had to spend a fortune to buy things that every other time we have rented a beach house these things were provided. For a house that says it can sleep 10, there were maybe enough bath towels for 6. There were no beach towels at all, not one beach chair, boogie board, beach toys for kids Nothing! I think we spent $4-500. on these things when we got there, because we realized we had nothing to do at the beach or to use. I don't want to buy beach chairs and a beach umbrella and beach toys and boogie boards, when I don't live by the beach. For the price we paid for this house for the week, none of this was provided at all. Even the soap dispensers in the bathroom had no soap. Stuff that people who do this to help pay for their beach house, I never had to do this before and we've been renting VRBO homes for years. It was insane to have to go on day one and buy all of this stuff, that we won't use again, and don't want to store! Great location! Everything you need is right there! Only a few things that could have been fixed. There was patch work on the ceiling and sides that were not painted, wifi was horrible (we couldn't even use it), the floors were dirty upon arrival ( my feet were black. So, I went and purchased floor cleaner to clean them). The umbrella on the sand was inoperable due to having such a small stand. Everything else was amazing. 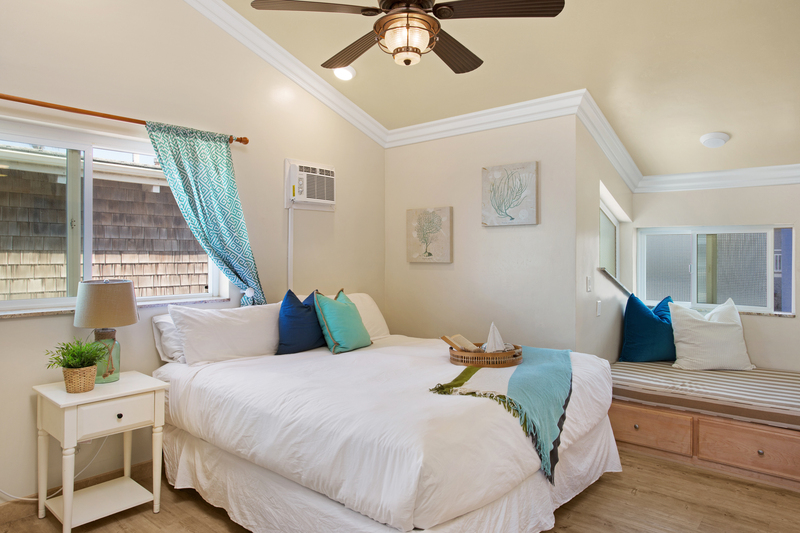 Both rooms offer partial view of the ocean. It was nicely decorated. The beds were wonderful; we slept great. Great location and beautiful place! The third floor has the best views, spent every breakfast on the patio watching the dolphins and surfers go by. It is a 15 min walk to the pier, where there was live music and bike rentals. All of the appliances are top of the line but mostly used the gas grill which came with extra tanks. You won't run out of propane! We went down to the water everyday to boogie board and even fished off of the shore. Downstairs there is a small enclosed entryway where we left our sandy shoes and boards so that we wouldn't have to drag dirt upstairs. The only downside was the stairways. I wouldn't recommend this place for small children or elderly, unless you have someone to carry them up and down to the beach. The stairs down to the beach does not have a handrail and is slippery! Be careful! We enjoyed our stay. The unit was clean, and in very good condition. We enjoyed the rental very much. The property was better than described and met our needs completely. Loved this place! The photos are just how this condo looks--neat, clean,spacious, upgraded with all the amenities needed for your stay! The view is gorgeous. Beds are very comfortable. We didn't have the correct code when checking in & we called the phone number.The representative was very helpful & apologetic that we weren't given correct code.Rocks in front of condo & mostly high tide prevents you from walking/laying out in front of condo, but common area with sand/chairs & fire pit help. I enjoyed hearing the constant waves crashing against rocks on shore. We tried to book for one more night but unfortunately was already booked. This was a great staycation for us and we are planning our next stay here! Lovely time with my Sister and 2 nieces. This location is fabulous!! We wish we could have stayed longer....Next Time !